"The members of the Town Committee expressed their disappointment in the way endorsements were handled by the State Party in the current election," said Town Committee Chair Len Katzman. "While we are encouraged by the two endorsements which were rescinded on Thursday, we feel that there are systemic issues which still need to be addressed. We want all Democrats to be able to trust the process." The resolution urges the state committee to craft a plan to proactively educate all Democratic candidates about the procedures and timelines involved in endorsement, as well as taking steps to improved the transparency and accountability of the process. 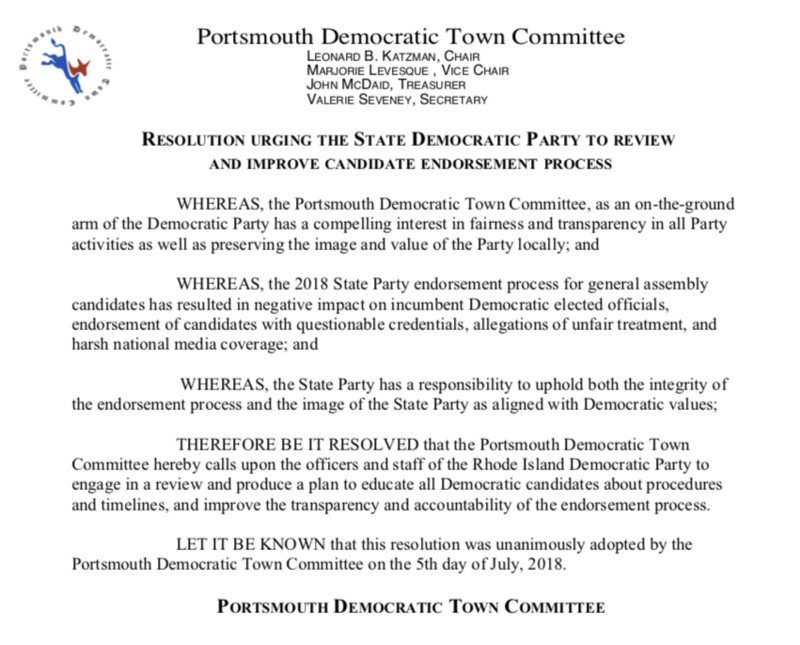 THEREFORE BE IT RESOLVED that the Portsmouth Democratic Town Committee hereby calls upon the officers and staff of the Rhode Island Democratic Party to engage in a review and produce a plan to educate all Democratic candidates about procedures and timelines, and improve the transparency and accountability of the endorsement process. LET IT BE KNOWN that this resolution was unanimously adopted by the Portsmouth Democratic Town Committee on the 5th day of July, 2018. "The members of the Town Committee are proud Democrats," said Katzman. "We believe that the State Party needs to do whatever is needed to ensure that all Democrats feel confident that the endorsement process has integrity." Technology development keeps changing everyday life in ways that were unforeseeable only a few years ago. A decade ago, probably few people would have believed that our economy would soon be changed by apps that would let you hail a cab online, or websites that would crowdsource funding for entrepreneurs or charitable causes. Or that in 2018, a significant portion of travelers would sleep in a stranger’s home instead of a hotel. Government at every level has struggled to keep up with the dizzying pace of this development, and the result is that policy has not caught up to technology. Short-term rentals coordinated through third-party hosting platforms is one such wild frontier where an entire economy has sprung up, unregulated, unchecked and very questionably taxed. In my district in Newport, where hospitality is the driver of the economy, the effects of this development are particularly evident. Our tax and health and safety codes were developed with the expectation that residential properties housed residents, not travelers. This new hybrid use — and the use of third-party hosting platforms that complicate the identification of the properties being used — have left Newport, other municipalities and the state at a loss to determine how to ensure that hosts are complying with the measures that are intended to keep guests safe and in compliance with the collection of hotel and sales taxes. An attempt was made in 2015 to collect the hotel tax from the third-party hosting platforms, but the result was the delegation of tax collection to the hosting platform, which submits only one double-sided form once a month with only a grand total of the taxes it says its users owe the state and the fraction that should go to each community. We’re just accepting the money and their word. The tax problems are just the tip of the iceberg. This use may well also be putting a squeeze on our housing stock, as investors have begun buying properties solely to rent out the rooms in this manner. Proponents argue that the model provides homeowners, particularly woman and seniors, with income that helps them afford their homes. But what can it do to protect these vulnerable populations from those who spend the night in their homes? Background checks and analytics cannot detect first-time offenders who recognize this opportunity. I have submitted legislation that will help ensure compliance with our tax laws and building codes. My bill requires third-party hosting platforms to use best practices to ensure the properties they list are complying with all applicable local, state and federal laws regarding their rental and use, and ensure that they are complying with any local registration requirement. Additionally, the bill requires them to provide each property owner with a monthly accounting of the taxes collected for rental on that property. It would be the property owner’s responsibility to remit that accounting to the state along with any taxes they have collected themselves for rentals outside the platform. The use of third-party hosting platforms will only continue to grow, and Rhode Island must adapt. We cannot continue to allow a very significant portion of our hotel taxes to be collected and submitted anonymously, without verification. I urge swift passage of my legislation to rectify this situation. Rep. Lauren H. Carson, a Democrat, represents District 75 in Newport. While we did not prevail tonight, I thank the voters of Portsmouth and congratulate the new members of the Water Board. I am honored to have participated in this election which set record turnout numbers. As a writer, I’ve learned that if you don’t collect a few rejection slips, you’re not aiming high enough when you send out stories. The work goes on, and you can be sure I’ll continue to pitch in wherever I can to help move Portsmouth forward. Safe, clean water efficiently flowing to your tap is something you don't want to have to worry about, and I want to help make that happen. I'm running for tax assessor in the Portsmouth Water and Fire District board election on Wednesday, June 13. This is a nonpartisan election for a largely technical administrative position, and I'd like to explain why I'm a good fit. After doing doctoral work in communication theory and teaching at the college level for seven years, I moved to the private sector. In my 22-year career as project manager at a multinational firm, I ran multimillion-dollar software development efforts, negotiated contracts, reviewed technical documents, and worked with teams to analyze problems, generate the data to make decisions, and implement solutions. I would love to put this skill set to work to benefit the ratepayers of the Portsmouth Water and Fire District. on the Portsmouth Conservation Commission and PSD Technology Committee, and I was an appointed member of the most recent Charter Review Committee. I'm a freelance journalist, and for more than 10 years I've run a website, harddeadlines. com, providing news and commentary on local issues. As a practiced communicator, I will always work to ensure transparency. My experience in business will help me be a good steward of both Portsmouth's precious resources and our tax dollars. And as a parent and proud resident of Portsmouth, I will always be guided by what's right for our town. I ask for your vote next Wednesday, June 13, from 7 a.m. to 8 p.m. at the district office, 1944 East Main Road. 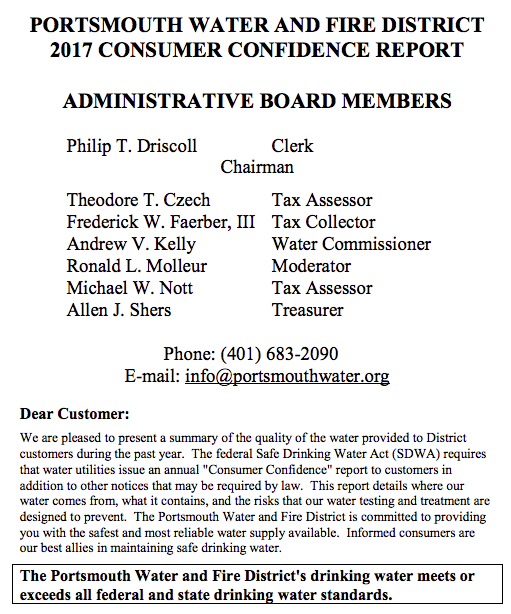 On Wednesday, June 13, 2018, registered voters residing in the Portsmouth Water and Fire District will elect two (2) Tax Assessors and one (1) Tax Collector for a three year term to the seven member Administrative Board. 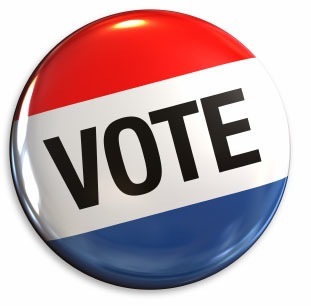 The polls will be open from 7:00 AM to 8:00 PM at the District's office at 1944 East Main Road. Full disclosure: I am a candidate for the Tax Assessor position. You can find my campaign web site at johnmcdaid.com. With final approval in both chambers today, the General Assembly approved two bills to prevent gun violence and mass shootings: a ban on bump stocks and other rapid-fire gun modifications and “red flag” legislation that allows courts to disarm individuals who are believed by law enforcement to represent a violent threat to themselves or others. Both bills were sponsored by Portsmouth legislators, and will now go to Gov. Gina Raimondo, who has planned to sign them in a ceremony tomorrow, Friday, June 1, at 11:30 a.m. on the south steps of the State House. The first bill, sponsored in the Senate by Senate Majority Whip Maryellen Goodwin and in the House by Rep. Dennis Canario, is known as a “red flag” law because it allows police to seek from Superior Court an “extreme risk protective order” that prohibits an individual from possessing firearms, based on threats and other warning signs that the person might commit violence. “This legislation is a way to stop tragedies before they happen. Of course someone who has guns and is making serious threats to harm people with them should not be armed. Too often, after a mass shooting we learn about all the warning signs people saw from the shooter and wonder why they still had guns. But the truth is, there isn’t always a legal means to stop them. Our legislation provides a speedy but fair process to ensure that those who pose a legitimate risk do not remain armed,” said Sen. Goodwin (D-1). Under the bill (2018-S 2492A, 2018-H 7688Aaa), an extreme risk protective order would prohibit an individual from possessing or purchasing guns, would require them to surrender guns in their possession and would invalidate any concealed carry permits they have. The order would be reported to the National Instant Criminal Background Check System (NICS) and all state and federal lists used for determining whether those seeking to purchase guns have been prohibited from doing so. Violating such an order would be a felony punishable by up to 10 years in prison. Under the bill, a law enforcement agency could petition Superior Court for an extreme risk protection order if it believes the individual poses a significant danger of causing imminent injury to himself or others by having a firearm. The petitioner must state to the court the specific statements, actions, or facts that give rise to a reasonable fear of future dangerous acts by that individual, and must concurrently file for a search warrant to search for any weapons the individual possesses. 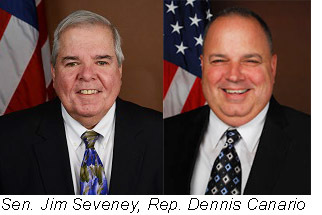 The other bill (2018-H 7075Aaa, 2018-S 2292A), sponsored by Rep. Robert E. Craven and Sen. James A. Seveney, would ban bump stocks, binary triggers and trigger cranks on semi-automatic weapons. A bump stock is an attachment that allows the shooter to fire a semi-automatic weapon with great rapidity. It replaces a rifle’s standard stock, freeing the weapon to slide back and forth rapidly, harnessing the energy from the kickback shooters feel when the weapon fires. “With the tragic and horrific event in Las Vegas demonstrating the powerful lethality that bump stocks can facilitate, we must make the law clear that Rhode Island will not tolerate these dangerous tools of death. Currently there is some ambiguity to whether or not applying a bump stock to one’s weapon is legal in Rhode Island, but it is still legal to purchase one. This bill will end that practice, making the sale and possession of bump stocks, even if they are not affixed to a weapon, illegal and punishable by the full extent of the law,” said Rep. Craven (D-32). The bill would make it unlawful to possess, transport, manufacture, ship or sell a bump stock, regardless of whether the person is in possession of a firearm. Those violating the provisions, would face imprisonment for up to 10 years, a fine up to $10,000, or both. It would also make it unlawful and apply the same penalties for any person to modify any semi-automatic weapon to shoot full automatic fire with a single pull or hold of the trigger. The legislation would also ban binary triggers, which is a device designed to fire one round on the pull of the trigger and another round upon release of the trigger, effectively doubling the weapon’s shooting capabilities; and trigger cranks, which attach to the trigger of a semi-automatic weapon and cause the weapon to fire by turning the crank handle. Both bills have the support of Governor Raimondo, Attorney General Peter Kilmartin, General Treasurer Seth Magaziner, the State Police, the Rhode Island Coalition Against Gun Violence, the Rhode Island chapter of Moms Demand Action for Gun Sense in America (a part of Everytown) and the Rhode Island Coalition Against Domestic Violence. The Senate today approved two bills to prevent gun violence and mass shootings, a ban on bump stocks and other rapid-fire gun modifications and “red flag” legislation that allows courts to disarm individuals who are believed by law enforcement to represent a violent threat to themselves or others. The bills will now go to the House, which has passed companion bills to each of them. Senator Goodwin’s bill is known as a “red flag” law because it allows police to seek from Superior Court an “extreme risk protective order” that prohibits an individual from possessing firearms, based on threats and other warning signs that the person might commit violence. Senator Seveney’s legislation (2018-S 2292A) would ban bump stocks, binary triggers or trigger cranks on semi-automatic weapons. In last year’s mass shooting in Las Vegas, 12 of the rifles in the gunman’s possession were modified with a bump stock, allowing the weapon to fire about 90 shots in 10 seconds — a much faster rate than the AR-15 style assault rifle used by the Orlando nightclub shooter, which fired about 24 shots in nine seconds. The bill would make it unlawful to possess, transport, manufacture, ship or sell a bump stock, regardless of whether the person is in possession of a firearm. Those violating the provisions, would face imprisonment for up to 10 years, or a fine up to $10,000, or both. It would also make it unlawful and apply the same penalties for any person to modify any semi-automatic weapon to shoot full automatic fire with a single pull or hold of the trigger. The measure is cosponsored by Sens. Coyne, DiPalma, Pearson and Conley,. It now movesto the House, which has passed similar legislation (2018-H 7075Aaa) introduced by Rep. Robert Craven (D-32). Both bills have the support of Attorney General Peter F. Kilmartin. The Senate on Tuesday passed legislation introduced by Sen. Jim Seveney (D-11) that would require health insurers to include behavioral health counseling as a primary care visit. Under the provisions of the bill (2018-S 2540Aaa) behavioral health counseling visits and medication maintenance visits would be included as primary care visits for patient cost-sharing requirements under the provisions of a health plan. 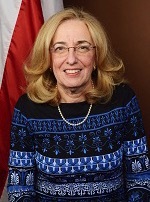 The legislation would also require the Office of the Health Insurance Commissioner to include in an annual report to the governor and General Assembly recommendations to ensure the health insurance coverage of behavioral health care under the same terms and conditions as other health care, and to integrate behavioral health parity requirements into the insurance oversight and health care transformation efforts. The measure now moves to the House of Representatives, where similar legislation (2018-H 7806) has been introduced by Rep. Grace Diaz (D-11). Contemporary Theater offers delightful "Rosencrantz and Guildenstern"
Fifty years ago, Tom Stoppard dug up two minor characters from Hamlet and gave them a full-length spotlight. His play, Rosencrantz and Guildenstern Are Dead, is a masterpiece, and the Contemporary Theater Company has mounted a brilliant, agile production that matches the linguistic sparkle of Stoppard — and Shakespeare. Do yourself a favor, and go see it this weekend. We first see Ros and Guil (as theatre folk sometimes refer to the characters) flipping a coin which always comes up heads. It's a deft introduction of one of the play's core themes, the challenge of living within a determined universe, inscribed either by a numinous playwright or the laws of nature. The action — which pinballs across genres like a mashup of Noises Off and Waiting for Godot — threads moments of Ros and Guil's contemplation of their predicament into and out of the action of Hamlet in what is by turns absurdist, farcical, and deeply introspective. It's a complex, multi-layered script. The gender-blind cast is up to the challenge. 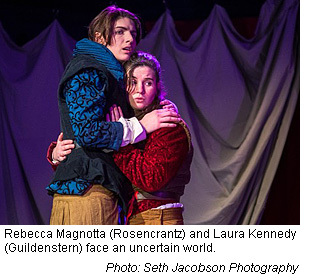 Rebecca Magnotta's Rosencrantz has an endearing naivete that offers a perfect foil for Laura Kennedy's earnest, troubled Guildenstern. The pair's chemistry is deeply human, their presence powerful, and their rapid-fire interactions are a delight. The two carry the full weight of the two-plus-hour show, and they make it look effortless. These are two standout performances. And the supporting cast provides uniformly wonderful, nuanced moments that wrap around Ros and Guil. Valerie Tarantino's turn as the lead player in the wandering group of actors is a precisely served feast of earthy world-weariness. Tammy Brown is such a good Hamlet that I found myself wanting to see her in that role for real. She has long been one of the stars of the CTC, and she offers a deep, wry Hamlet who crackles in her scenes with the hapless duo. The stage is a long, linear thrust, which works exceedingly well both thematically and in making use of the CTC's space, lighting is crisp and effective, and the costuming is richly detailed. Christopher Simpson's direction is stellar. He clearly understands the core of this show — no mean feat, given Stoppard's complexities — and has coached performances that illuminate the deep themes of autonomy, helplessness, and the possibilities of individual action in an incomprehensible world. His staging demonstrates a s ure command of theatrical conventions and the possibilities of space. And, most importantly, his precise focus on the lived reality of Ros and Guil keeps this from being just "absurdist," in some narrowly academic sense; we learn to care about this pair, we connect with and mourn them, and in so doing, we learn something about our own human predicament.